I have had Tweezerman beauty tools for as long as I can remember. My first Tweezerman product was of course, their tweezers. I've used them exclusively ever since. From their mini travel size tweezers, to the full-size everyday tweezers, I've loved them all. Today I'll go over all of my Everyday Essentials from Tweezerman. Tweezerman makes an entire array of tweezers to suit every need. I use their full-size tweezers on a daily basis. They come in different colors and even patterns to make that "not so fun" task more enjoyable. I also love their mini tweezers for travel so I never have to be without my favorite essential. They also make a Point Tweezer and Pointed Slant Tweezer that both help with precision and final touches. As you might expect, these two styles are particularly sharp, so be a bit more cautious with them! 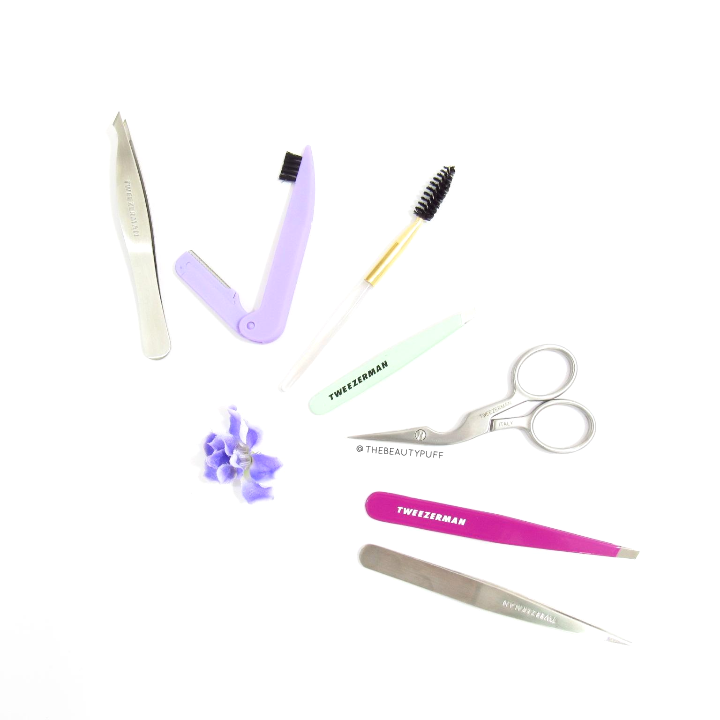 For the perfectly groomed brows, the Tweezerman Brow Scissors, brush and spoolie are absolutely essential. Not all scissors are created equal, I've learned this the hard way. I've gotten cheaper alternatives in the past, and nothing compares to the quality of the Tweezerman scissors. They are sharp, precise and incredibly smooth. The perfect companion to these scissors is the Brow Brush & Spoolie that instantly grooms brows, whether you are preparing to shape or simply smoothing them out. These are really helpful to neaten brows before any brow products are applied. Tweezerman has that covered too! This multi-purpose pencil has a brow shade on one side and a highlighting shade on the other. Despite being thicker than most brow pencils, I found it very easy to use. 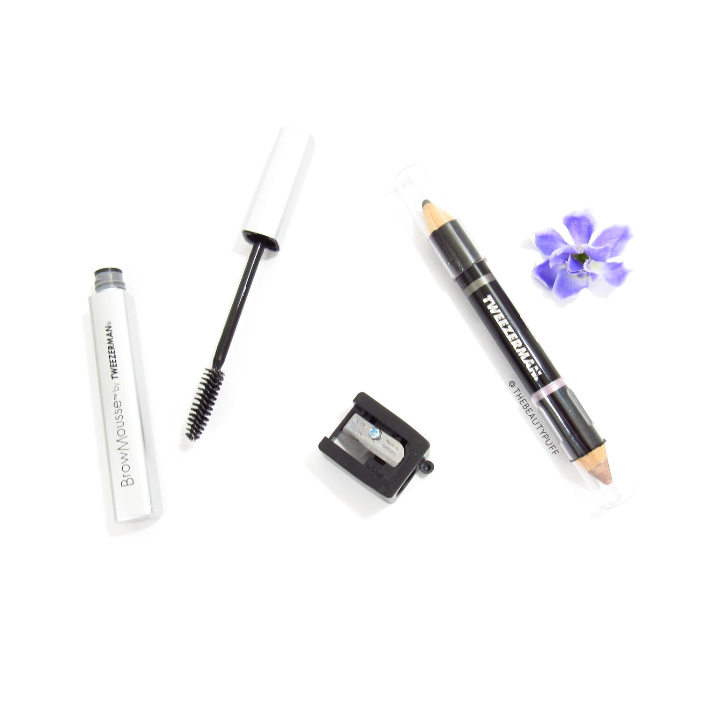 The formula was really smooth and easy to apply for a natural, yet defined brow. The highlighter shade instantly gives lift and a slight shimmer to enhance the area just under the brow. I just applied it to the desired area and spread the product out with my finger. 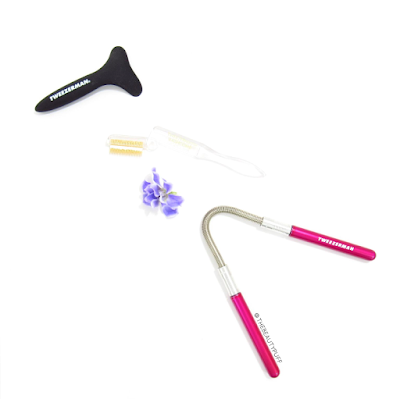 The Tweezerman sharpener works perfectly to maintain a sharp point for precise application. Once your brows are shaped, defined and highlighted, all that's left is to set all your hard work into place. The Tweezerman Brow Mousse provides undetectable hold with a smooth, mess-free formula. I love the size of the brush and the fact that the mousse isn't a very wet formula. Both of these aspects help achieve a fast and natural application. 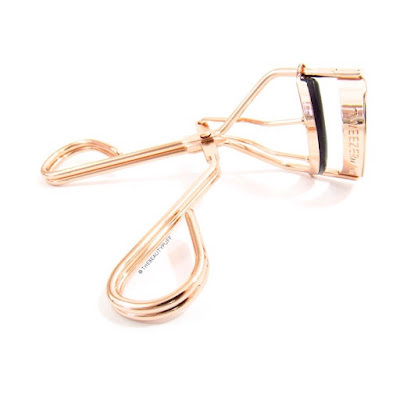 Along with Tweezerman's tweezers, their lash curlers have been long-time favorites of mine. While I have been tempted by other brands, nothing has compared to the curl I can achieve with my Tweezerman Lash Curler. My latest curler, is their rose gold Pro Lash Curler. Not only is this curler absolutely gorgeous, but it provides a comfortable grip and long-lasting curl. I love using this curler every day, I don't know what I'd do without it! This is probably one of the most unique beauty tools I have. The Tweezerman Mascara Guard can help prevent mascara from getting on your eyelid or lower lashline so your eyeshadow won't get ruined. I tend to have an issue particularly with my lower lashes because they are so long. I have to do a lot of touch-ups and this tool has eliminated that hassle! If your mascara application isn't as perfect as you had hoped, Tweezerman makes a folding lash comb for a quick and easy fix. I love the folding design of this particular comb because they can be rather sharp and fragile. It's perfect for delicate touch-ups whether you're at home or on the go. When I first saw this hair remover, I had no idea what to do! After a little research, I saw how to position the springs against the skin and with simultaneous rotation of the handles, you get instant hair removal! This makes the process much more efficient than trying to find hairs individually. Plus, it's pink! It makes sense that a brand that has mastered beauty tools, would have their own makeup brushes. 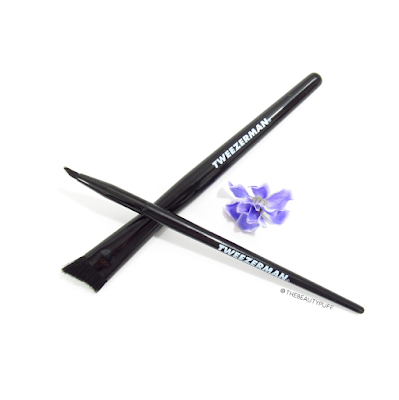 Tweezerman's brushes are made with soft-feel filaments that give a soft touch for easy, flawless application every time. The two brushes I have are the Contour Concealer Brush and the Line Glider. The Contour Concealer Brush has a unique shape that can be used on the eye area or the cheeks. Its soft, contoured shape gently blends around the eye without any tugging or discomfort. The Line Glider Brush also has a unique cut that makes defining the eyes a breeze. I love using it to blend out pencil liners as well because it is so soft. What have you been loving from Tweezerman lately? You can find their entire line of products on their website below!